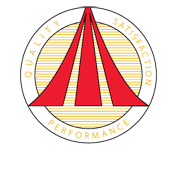 Our qualifications are proof of our commitment to providing you with the leading expertise in the industry. 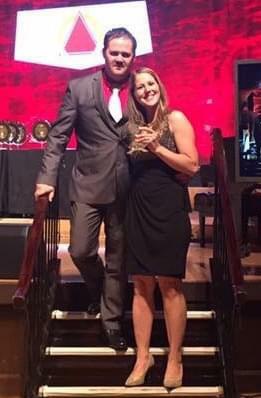 Our team holds some of the most prestigious certifications in the industry. 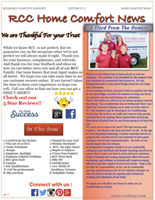 RCC provides our team the opportunities to continue to grow and learn both individually as well as a team. We provide weekly, monthly, and annual training to all employees. Accredited Bosch Contractors are members of a select group of professional heating and air conditioning installers. They are individually selected by Bosch, then inducted into the program,factory-trained, and equipped with the information and tools required to install, service, and maintain Bosch and Buderus equipment to the highest standards. 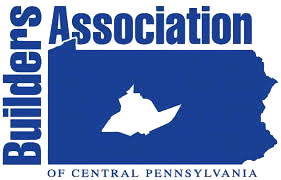 The Builders Association of Central Pennsylvania is a unified organization of professionals dedicated to promoting its member companies while advocating for the building industry. The Builders Association strives to serve as the foremost resource of building industry professionals and consumers alike in CentreCounty. 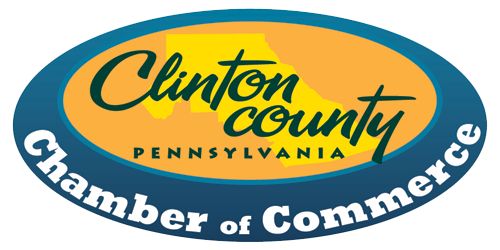 The Clinton County Economic Partnership is a non-profit corporation chartered in Pennsylvania. The purpose of the Partnership is to promote the economic interests of the Clinton County "Community." The Partnership was created to bring together all organizations providing economic development services. The original agencies that formed the Partnership were the Industrial Development Corporation of Clinton County, the Clinton County Tourist Promotion Agency, and the Clinton County Chamber of Commerce. 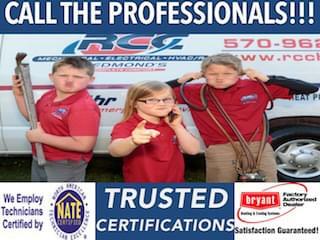 Bryant Healthy Air Specialist dealers are the key to providing the right solutions for your indoor air quality needs. With today's rising concerns about air quality, allergens, and respiratory illnesses, more and more homeowners are looking for solutions to improve their indoor air quality. Bryant's complete line of Healthy Home Solutions include the products you can trust to improve the air in your home. 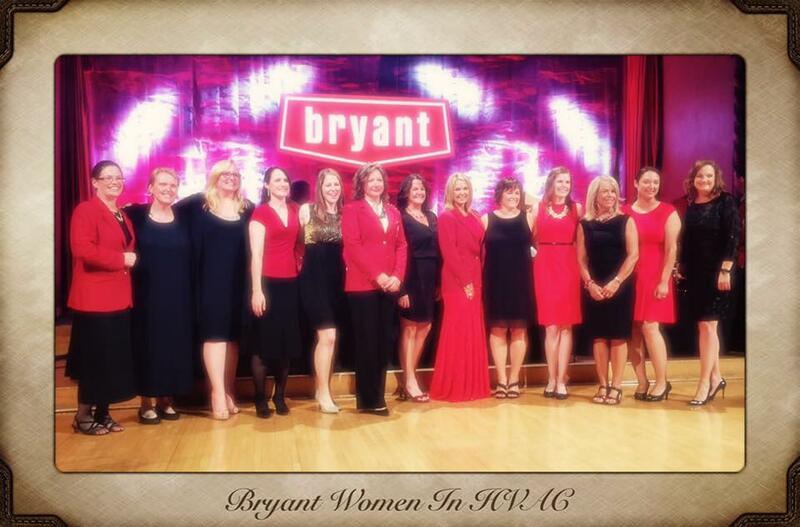 RCC has received the prestigious Bryant Circle of Champions award two years in a row now, which is given to Bryant Factory Authorized Dealers that are judged on overall Bryant-branded product sales growth, high-efficiency and indoor air quality equipment sales, customer satisfaction and participation in various dealer programs and promotions. 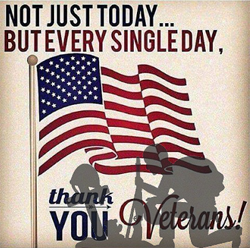 Each year, about 50 of these awards are given out throughout the United States. RCC was one of three contractors selected from Eastern Pennsylvania. 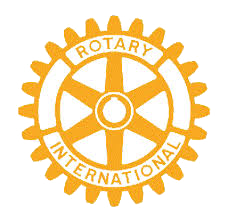 The Rotary Foundation is dedicated to turning the generous gifts of charitable individuals into valiant efforts to eradicated polio and promoting peace. 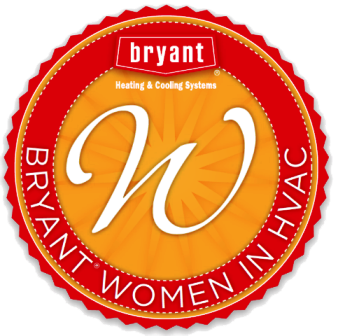 Tera Redmond has been nominated in an outstanding female leader and was selected to be a part of “Bryant Women in HVAC” an elite group of women in the Industry. Only 35 women nationwide were selected.